By default, RavenDB indexes operate only on a specific entity type, or a Collection, and it ignores the inheritance hierarchy when it does so. If we saved a Cat, it would have an Entity-Name of "Cats" and if we saved a Dog, it would have an Entity-Name of "Dogs". This works, but each index would only give us results for the animal it has been defined on. 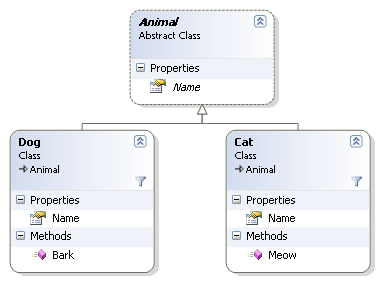 But what if we wanted to query across all animals? But what happen when you don't want to modify the entity name of an entity? That would generate an index that would match both Cats and Dogs.